An HVAC breakdown is not only an inconvenience for your firm but if serious enough, can also result in the suspension of operations. Summer temperatures, for instance, may be too high to continue work without functioning air conditioning. Here at Enertia Heating and Cooling, we’ve helped dozens of businesses like yours in Plano TX / Collin County repair their air conditioning units, and we can help you too. Enertia is a unique air conditioning repair service. We don’t just paper over problems with your system: we go directly to the root of the issue and build solutions from the ground up. When we go to a repair job, we go with the aim of ensuring that our customers don’t experience a similar failure ever again. We put in place preventive measures that help to ensure the longevity of your air conditioning hardware, preventing similar problems from cropping up in the future. Is your air conditioning unit in need of repair? Get in touch with us today and take advantage of our 24/7 repair service. At Enertia, our repair technicians have vast experience with all manufacturers of airconditioning systems. 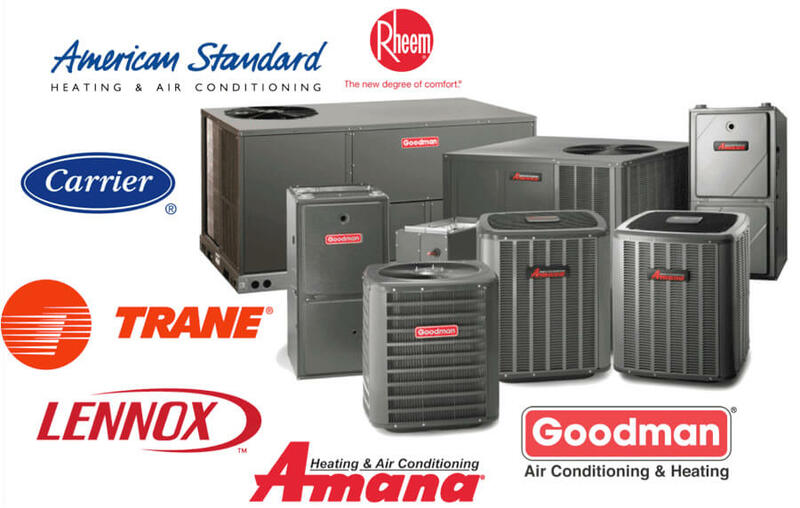 It doesn’t matter whether your firm uses Lennox, Trane, Amana, Goodman, or any other maker of hardware (or even if you don’t know who supplies your air conditioning system), we have the skills and know-how you need to make repairs and get your air conditioning up and running again. Unlike other repair services, we operate a partnership model. We work strategically with your firm to develop the robustness of your air conditioning systems so that you’re not hopping from one crisis to another. Our approach works to align itself with your business strategy, recognizing that air conditioning is a pivotal part of your operations – something you rely on to deliver services to customers. When you choose a commercial air conditioning repair service in Plano TX / Collin County, you want a company with all the necessary insurance and accreditation. Enertia carries full public liability insurance up to a value of $2 million, ensuring that you can use our services risk-free, safe in the knowledge that valuable equipment on your premises is covered. We also hold a special Environmental and Refrigeration license which enables us to repair both commercial and residential HVAC units, giving us an extraordinary breadth of experience. Engineers at our firm have helped restaurants, motels, hotels, cafeterias, schools, convenience stores, racetracks, and many other organizations repair their air conditioning systems in Plano TX / Collin County, and we have the skills to help you too. When we visit your site, we’ll immediately determine what the problem is and whether it can be fixed there and then. We will then supply the necessary parts and ensure that similar issues do not exist in any other part of your air conditioning system which may cause a breakdown in the future. Speak to us today and take advantage of our 24/7 repair service.